The Festival of Britain is 60 years old this year and to commemorate its 60th anniversary, London’s Southbank Centre is holding a four-month long festival from April to September. 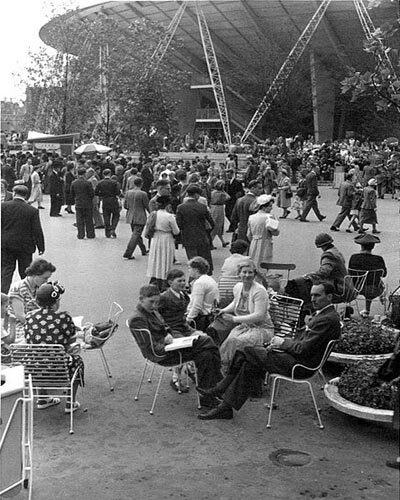 Launched in 1951 on the South Bank of the Thames, the Festival of Britain was a post-war morale booster. After the bombing blitz of the Second World War, much of the city of London was in ruins and the Festival of Britain marked the beginning of the redevelopment of the area. The South Bank is now home to the Royal Festival Hall, the Queen Elizabeth Hall, the Hayward Gallery, the Poetry Library, the British Film Institute and the National Theatre. Today, the Southbank Centre is the UK’s largest arts centre, and the anniversary celebrates the best of British culture and creativity. Highlights of this year’s Festival of Britain include a museum of memorabilia, the first major London exhibition of the work of British artist Tracey Emin, and a Young Pianists Week with a mass event of 100 young players playing dozens of pianos alongside Chinese virtuoso Lang Lang. The Chorus weekend includes a mass performance of choirs from around the UK, singing Handel’s Messiah. Curating this year’s annual Meltdown Festival is Ray Davies from the Kinks. Sure to be very popular, the Ray Davies Meltdown (June 10–12 and June 17–19) will celebrate pop music through the decades – from the 1950s to present day. Davies created the song Waterloo Sunset, and the SouthBank Centre is next to Waterloo Bridge. The 1951 Festival of Britain was a landmark event visited by millions and its legacy and influence continues to live on. The 2011 Festival of Britain runs from April 22 to September 4. To see what’s on and book tickets, see the Southbank Centre website on www.southbankcentre.co.uk.